Room at the Top is a phenominal masterpiece starring the superb Simone Signoret. 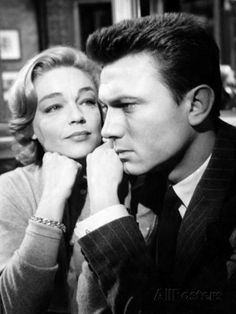 Laurence Harvey plays a young man from the wrong side of the tracks, an ambitious young accountant trying to escape his dismal background. He will stop at nothing as he schemes and climbs his way to the top. Simone plays the older woman he is involved with and she is magnificent. Simone won the Academy Award for this role, deservedly so, and just about every other best actress award for this film that year. You will find it difficult to look away from those stunning, expressive, revealing eyes. Laurence Harvey along with a stellar cast are outstanding. Next Post The Great Escape is Simply Awesome!